Getting pre-approved gives you more credibility as a buyer, since a lender has certified that you are likely to qualify for a mortgage loan based on a preliminary assessment. 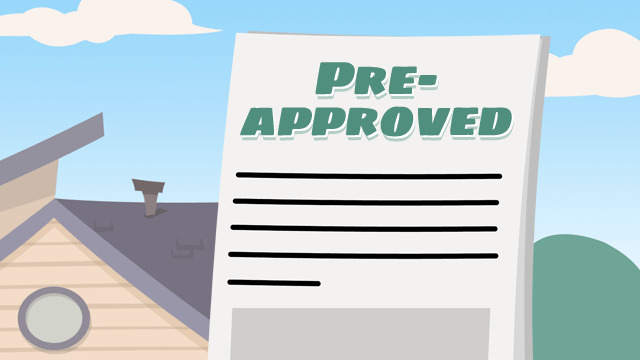 A pre-approval is a statement from a potential lender asserting that a borrower would be approved for a certain loan amount. Gaining pre-approval means that you as a borrower likely qualify for a certain mortgage according to the lender’s guidelines. To obtain a pre-approval letter from a lender, you will be required to provide some information about your finances, and also give permission for your credit report to be pulled. After a preliminary evaluation of the information provided, the lender will state in writing whether or not you are a pre-approved borrower. It is beneficial to take the time to get pre-approved by a lender, since it will help in your search for a mortgage. The pre-approval helps you get a better idea of how much you can afford to offer on a home, and in doing so, narrow down your search. Having a pre-approval letter also indicates to sellers and mortgage lenders that your finances are credible, and you are serious about purchasing a home. The pre-approval letter is usually valid between 60 to 90 days, so it’s important to request for one when you know you’ll have time to shop for a home. Keep in mind, however, that being pre-approved does not guarantee that you will ultimately receive the quoted interest rates, or that you may be approved for the loan. It also doesn’t mean that the offer you place on a property will be accepted.